1. Using a dark pen or marker, trace your hand on a blank sheet of paper. 3. Clearly write your first and last name, the date, and the type of glove you are purchasing in the upper right hand corner. 4. 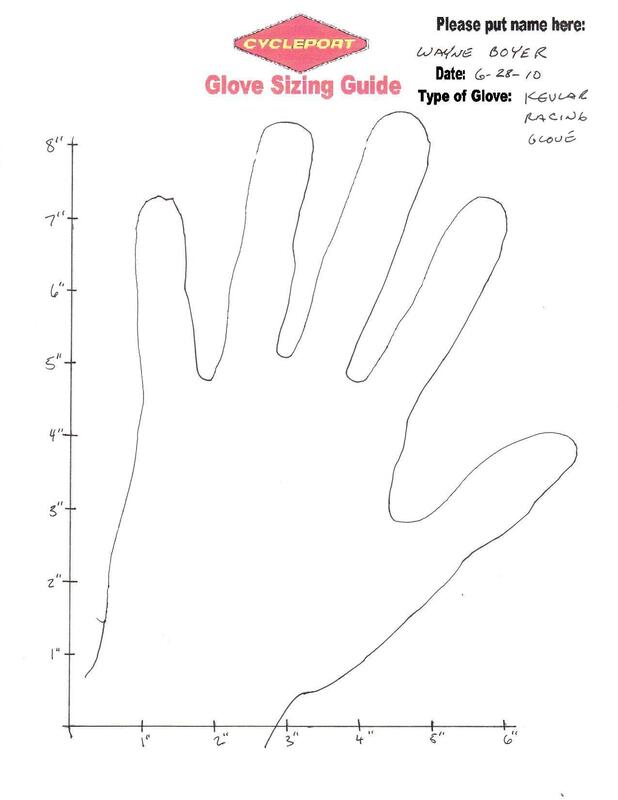 Scan your traced hand with your name, the date, and glove type on to your computer. 5. Email this photo as an attachment to motoportusa@earthlink.net . Please try to avoid sending your photo as a PDF file. Each scan comes to us sized incorrectly, so we must scale the scan to match up with your measurement markings. It is difficult to adjust a PDF file (try to save the file as a JPEG image).